If you're looking at a loaded Equinox LTZ, it may worth considering the larger, comparably-priced Traverse crossover, too. The 2015 Chevrolet Equinox is more refined and quiet than many of its competitors, while offering the versatility and value that a budget-conscious family would expect. The 2015 Chevrolet Equinox doesn't miss any critical points, and although it's hardly exciting, it's a great pick for families who need affordability, ample cargo space, and flexible seating, as well as with good maneuverability and fuel efficiency. And that even includes styling. Chevrolet's compact crossover blends design elements from its car and truck lines, culminating in somewhat sporting, crisp details and proportions. In the compact crossover class, it's important to strike visual balance, and the Equinox delivers by being both handsome and inoffensive. Meanwhile, the Equinox's interior follows other recent Chevrolet cars in terms of design with HVAC vents bracketing its center stack leading an overall jazzier cabin. It's the Equinox's combination of affordability, space, safety, technology, and refinement that continually make it a solid pick for families compared to other compact and compact-plus crossovers. 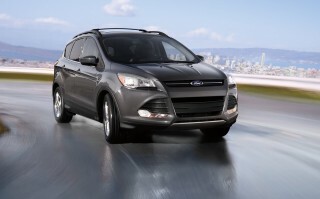 Its versatility makes it perfect for family errands, commuting, and even longer road trips. 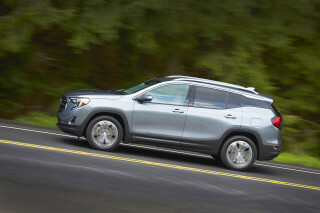 It's no wonder why compact crossovers in general, and the Chevrolet Equinox in particular, are replacing the mid-size family sedan. 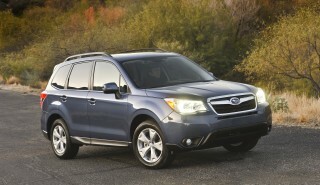 The less expensive four-cylinder models remain our recommendation. 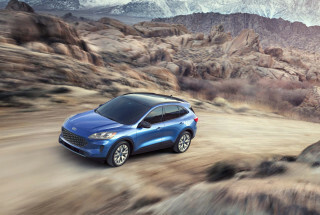 The 182-horsepower 2.4-liter four-cylinder is frugal at 32 mpg highway, but also smooth and easy to live with—even if it emits the stereotypical, diesel-esque tick of nearly all direct-injection engines. Want more power and willing to pay the penalty? The 3.6-liter V-6 delivers more—whether it be power or gasoline thirst. Frankly, its more than most buyers need, and cost-sensitive buyers should completely ignore its existence. The Equinox is designed from the ground up for daily family duty, from its clever seating to its durable (albeit not always luxury-caliber) up-close details. Its driver seat offers a sedan-like, neutral driving position, and LTZ models receive luxurious-feeling perforated leather seating surfaces that combine cross-stitched details with dual-tone finishes. The second row isn't just for kids, offering reclining seatbacks and spacious leg and headroom for two adults to stretch out and relax. And the Equinox's myriad storage areas—bins, cubbies, and cargo hold—present numerous areas to stuff your valuables away from shifty eyes and sticky hands. For price-conscious families, the 2015 Chevrolet Equinox's affordability and impressive feature set make it a top contender. Most of the trim lineup is equipped with touch-screen audio and USB input. Those seeking more advanced technology can opt for MyLink, Chevrolet's touch-screen connectivity system that brings with it voice recognition, smartphone connectivity, and integration with popular apps like Stitcher and Pandora. For 2015, OnStar now includes 4G LTE connectivity, with the ability to create an in-car WiFi hotspot. The Chevy Equinox is lightly influenced by GM's trucks outside; inside, it's purely a carlike crossover, and a good-looking one at that. It probably isn't fair to refer to the 2015 Chevrolet Equinox's styling as 'anonymous,' but we'll say that it looks like the car it needs to be to fulfill its family-oriented mission. The Equinox's overt interior design doesn't quite keep pace with other models in Chevy's lineup, though it does fit well with its own exterior styling. The arrangement of vents on either side of primary controls on the dash is similar to designs found in the Chevy Cruze and Sonic, as well as the Cadillac SRX. The Equinox cuts a tall, station wagon-esque design with headlights given decent placement away from the grille. Its rounded rear with sharp, angular lines helps is stand out amongst its crossover peers. Familiarity is found when taking in the Equinox's exterior design as a whole, sporting more than just a passing resemblance to the larger, three-row Chevrolet Traverse. We think the smaller crossover exudes a chunkier, more utilitarian character in its sheetmetal versus its bigger brother, but the Equinox's design still appears more car-svelte than truck-rugged, fitting well alongside Chevrolet's sedan line. Even the four-cylinder Equinox performs reasonably well--just don't expect any sportscar moves. While the Equinox isn't necessarily a blast to drive with power steering far too light and numb, it handles adequately for its size. Still, it's in the minority of vehicles still offering a V-6 in the segment, which produces more than enough power to get up and go. The equipped six-speed automatics blend performance with fuel efficiency through their use of short, lower gears for off-the-line scram and much taller, upper gears for freeway frugality. Unfortunately, both 'boxes are afflicted with rough shifts at times, feeling hesitant on hills or in stop-and-go traffic. Manual shifts can be triggered through a plus-minus rocker toggle on the shifter, not though the more traditional steering wheel shifters or a separate shift gate. Most needs and wants for family motoring will be met by the Equinox's engine and drivetrain choices. A smooth, strong, 301-horsepower 3.6-liter V-6 delivers added poke for fully laden trips and steep grades, but it comes with a significant fuel-economy penalty over the much thriftier four. 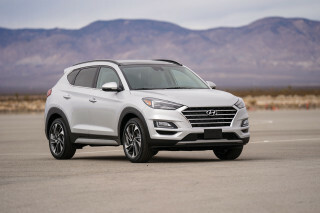 That said, the base 2.4-liter inline-4 will be enough for most, and its advanced technology makes it one of the smartest engines in the segment. A combination of direct injection and variable valve timing make for solid real-world performance, conjuring up 0-60 mph sprints in around nine seconds. Even when laden with passengers and cargo, the four banger musters acceptable passing performance. A sliding second-row seat and good headroom all around puts the Equinox on the bigger end of the compact-crossover spectrum. 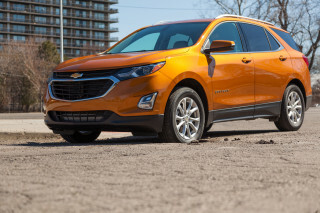 Families unconcerned with three-row availability should find the 2015 Chevrolet Equinox the Goldielocks pick of compact crossovers. 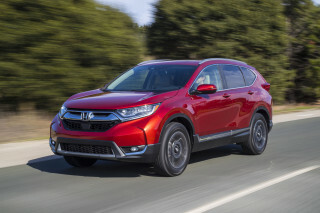 It's more manageable to park than its larger Traverse sibling, but plus-size interior dimensions make it the ace of space in the compact crossover class. Drivers are welcomed by excellent front seats and a neutral, car-like driving position. Regardless of trim, the Equinox's upright driving position and supportive seats are something to enjoy, while LTZ models kick up the luxury decor with dual-tone leather seats and exposed cross-stitching. In back, there's adult-size space, including good headroom, a seatback that's adjustable for rake, and decent legroom. Ride quality is good, too, and there's plenty of stow space for larger and smaller items, which altogether makes the Equinox a good family vehicle for highway trips and vacations. A retractable cargo cover, stretchy net, and two deep cargo wells all help keep items in place and out of site, and there's a deep center console for electronics and purses. The cargo area's only downside is its raised floor height that, we think, makes loading more difficult than it should. The Equinox's cabin leverages materials that are far from bargain-basement, but certain details—including seat fabric used in base models—bring down overall quality impressions. And there are a few too many things right in sight of the driver--like the thin, jagged, plastichrome trim at the edge of the storage bin, front and center--that remind you this definitely isn't a Cadillac. Interior refinement is the Equinox's strong suit, with a cabin as quiet as those in Buick and Cadillac models. A trick noise-cancellation system actively eliminates more irritating sounds produced by the four-cylinder mill, ensuring models powered by the smaller engine are almost as quiet as those powered by the smoother V-6. 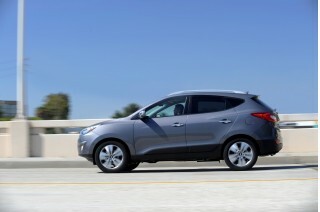 Additionally, acoustic windshield glass and triple-sealed doors do their best to nullify wind noise at freeway speeds. The IIHS gives the Equinox quite good ratings, but the NHTSA grades it slightly lower. The 2015 Chevrolet Equinox has a solid reputation for occupant safety. However, we have a gripe about the crossover's outward visibility, which keeps us from crowning it as the safest pick in the segment. Four-wheel disc brakes, StabiliTrak electronic stability control, head-curtain side airbags, and pelvic/thorax seat-mounted bags are all included as standard equipment in the Equinox. A rearview camera system is offered in most models, and lane departure warning and forward collision warning alert systems—the latter of which earns a "basic" front crash prevention rating from the Insurance Institute for Highway Safety (IIHS)—are standard on the LTZ and optional on the LT. But baked into the Equinox is its main inadequacy: outward visibility. Depending on your driving position and height, its thick rear pillars may obscure vision when merging or changing lanes. The large blind-spot mirrors do help a bit, but definitely pay attention to this on the test drive. 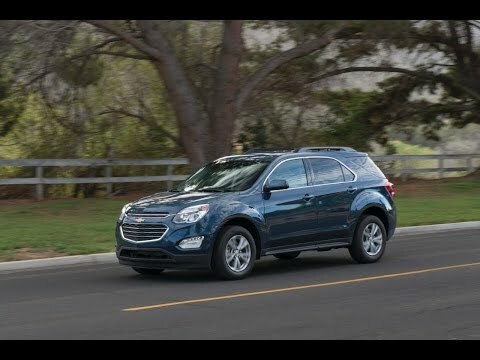 The Chevy Equinox has earned top 'good' ratings from the Insurance Institute for Highway Safety in all categories, including in the tough small overlap frontal category (it's earned Top Safety Pick status); it's also earned top four- and five-star results in National Highway Traffic Safety Adminstration crash tests and aced the new, tough side-pole test with a five-star score. High-speed data and high-value features find a home in the well-equipped Equinox. New for the 2015 model year, the Chevrolet Equinox now uses an OnStar system with a 4G LTE data connection, as well as the ability to establish an in-car WiFi network with that connection. Considering the affordable pricepoint, the Equinox offers a long list of features, including an intuitive infotainment system, plenty of convenience features, and even a few active safety technologies, too. Most of the lineup now gets a touch-screen audio system with a USB port, while the voice-activated, touch-screen-based MyLink Connectivity system--for easier connectivity for hands-free calling or media access--is an option. MyLink also includes integrated Pandora and Stitcher app compatibility, and hands-free controls, plus the allowance for a connected navigation system. Standard equipment even on base Equinox LS models includes air conditioning, an AM/FM/XM/CD/MP3 player with an auxiliary input jack, cruise control, power windows/locks/mirrors, and a tilt/telescoping steering wheel. A rear-seat entertainment system, a navigation system, leather seating, heated seats, Bluetooth, steering-wheel audio/phone controls, a sunroof, a rearview camera, and remote start are options on the LS. Top-of-the-line LTZ models get perforated-leather upholstery, memory seat settings, automatic climate control, a universal remote, a rear vision camera, and both forward collision warning and lane departure warning--both useful features that might help avoid an accident. Gas mileage is very good in the four-cylinder Equinox, but even the V-6 versions are acceptably frugal. 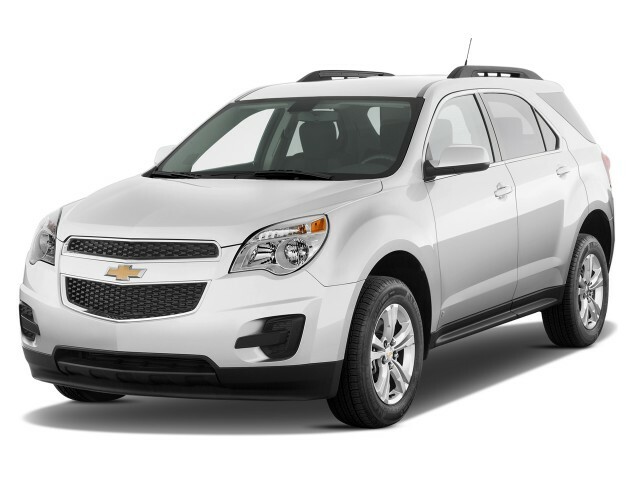 The V-6 model of the 2015 Chevrolet Equinox is thirsty, but it has ample torque to move you around town. 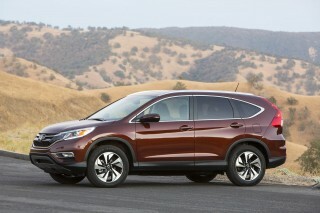 However, the four-cylinder is both frugal and fuel-efficient, and is worth a look. Outside the small pack of hybrid crossovers, the four-cylinder Equinox is near the top in terms of fuel economy thanks to an Eco mode switches transmission mapping for earlier shifts, dials back air conditioning, and encourages earlier torque converter lockup. Four-cylinder models, when paired with front-wheel drive, are good for 22 mpg in the city and 32 mpg on the highway, according to EPA ratings. All-wheel drive models incur a small fuel economy penalty, bringing mileage scores down to 20 and 29, respectively. Opting for the V-6 also means accepting its thirst. The EPA rates front-wheel-drive V-6 models at 17 mpg city, 24 mpg highway; all-wheel-drive mileage dips by 1 mpg on both measures to 16 mpg city, 23 mpg highway. Nice car, but the dash gas mileage is 2- 2 1/2 miles per gal off. If you record miles and fills, you will see the real results! Yes, it may get 32 miles per gal if you drove the interstate in flat land... Nice car, but the dash gas mileage is 2- 2 1/2 miles per gal off. If you record miles and fills, you will see the real results! Yes, it may get 32 miles per gal if you drove the interstate in flat land Nebraska at 55 mph. 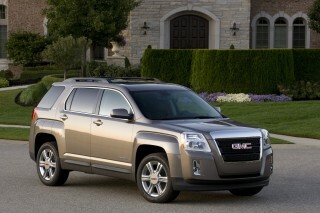 Great technology in a comfortable and thrifty SUV. It is our second equinox and we like it more than the first one. GM keeps refining it. Great Vehicle with great performance. Best SUV I could of hoped for. I can simple say I love it. Looks great, rides really smooth. After months of looking, it was the best SUV for my family. I haven't had a new vehicle since 1993, and this was perfect and it has it all. We were not sure this was the right vehicle for us. But 3 months in we ae more than sure. Quality is first rate and the technology is the best in the industry! LOVE IT!